Today’s society continues to want everything ASAP. Simple phrases we used to actually say to one another face to face have now been reduced to three or four letter acronyms and we say them by text message instead of a phone call or even email because it is faster and more efficient. For instance, IDK in a text message means “I Don’t Know” and IKR means “I Know, Right? !” Thankfully ASAP still means ASAP! However, using email is now “So Yesterday!” It’s all about speed and efficiency in communications, in business, in everything we do. Customers demand immediate responses and actions and we, as thriving businesses, have to reply PDQ (that means pretty darn quick!) or we risk losing our VIP customers. One way we can help you respond to your customers PDQ is to provide speedy processing equipment which delivers super important information to your VIP customers very quickly such as invoices, statements, refunds, direct mail, promotions and many other everyday business communications. One of the fastest pieces of processing equipment available in today’s market to help your business communicate in a quick and efficient manner is the PSM7000, PSMailers medium volume master. 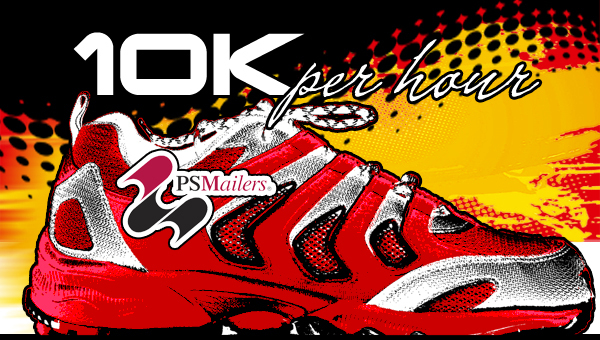 The PSM7000 rolls out 7000 sheets per hour or nearly 125,000 per month. That speaks volumes about speed and efficiency! Talk about satisfying demand for fast, efficient, almost instantaneous responses, this is it. The PSM7000 allows users to place 500 sheets in the hopper during processing and because the PSM7000 is a bottom feeding system you won't have to stop the machine to reload the documents. 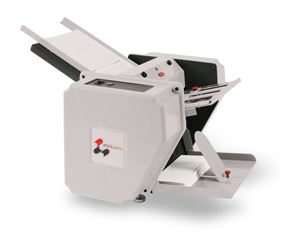 Sheets can be up to 8.5” x 14” and the PSM7000 offers five folding options: C, V, EZ, Z and EC using the manual fold plate. The PSM7000 counter operates both in manual or batch mode. An 18” conveyor keeps all of the forms orderly and is a mere 70 lbs for being such an impressive processor. It’s perfect for medium volume companies and mid-sized businesses. To request more information, visit the PSM7000 Demonstration Page. How do Pressure Seal Machines Save You Time and Money? Two major factors to advancement in any business are productivity and capital. Job efficiency can increase with reduction of menial tasks like individually stuffing envelopes for large mailings, which requires both time and money that could be put to a more productive use. Better efficiency can thus be achieved by the utilization of pressure seal machines. 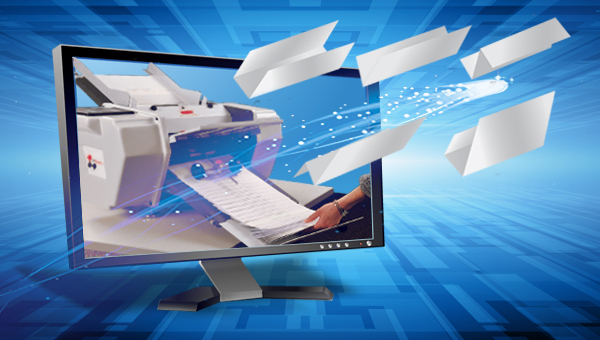 How can PSMailers increase company efficiency? PSMailers are pressure seal self mailers, one-piece sheets that are printed, folded, and sealed like envelopes before mailing. PSMailers meets a business’s mailing needs in one single package, so those rushed trips to the office supply store and the time spent ordering and waiting for envelopes are no longer necessary. Pressure seal documents, equipment, and software come together to provide a solution to your business needs where speed and efficiency are a profitable asset. 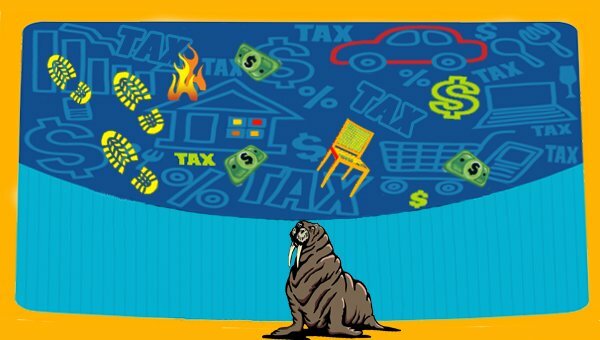 Pressure seal machines take the hassle out of issuing paychecks, statements, and invoices. Customer letters, purchase orders, reports, newsletters, and promotions can all be done simply and efficiently, saving time and increasing productivity as well as adding to efficiency by decreasing the supply costs for bulky mailings. payroll process. The time and costs associated with its methods needed a cost effective pressure seal system, but most other systems were cost prohibitive. The introduction of PSMailer's PSM1800 provided a viable solution and pulled the company out of its payroll blues. Companies that process a minimum of 6500 documents yearly will find the cost of an PSM1800 pressure seal machine to be justifiable, increasing business efficiency and, in turn, company growth. What are other options for pressure seal machines? 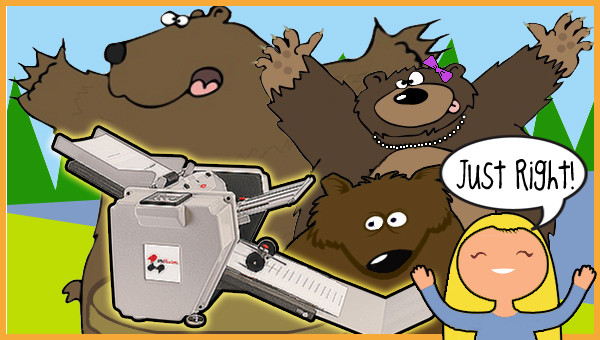 From the PSM300C, which operates faster than the PSM1800, to the PSM10K, which is capable of processing 10,000 documents an hour, PSMailers has a variety of pressure seal machines to choose from with six different folding styles for companies to utilize for their mailing. Where can a company go with questions about pressure seal machines?